Another of our new kits for 2013! 9" long and 5.5 oz, stainless 600 lb swivels. Optimally weighted for best action. Deep cup mouth throws a TON of water! That's awesome. So where are the 1.25 Egglets?? LOL. Go outside tonite and look for the brightest star you can find. s66 did you find them? I saw this kit in the kits section and was very happy with it. 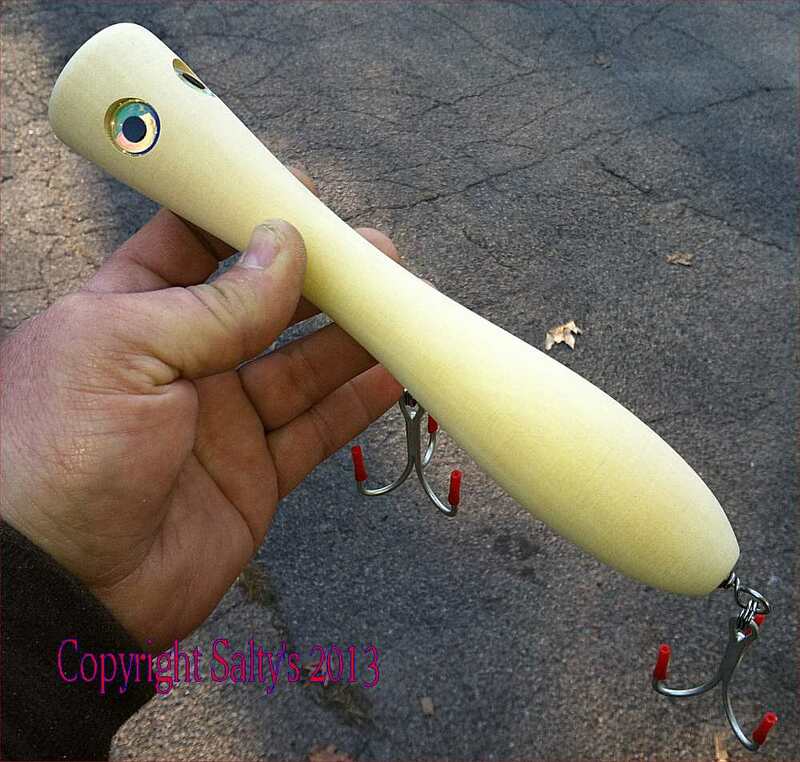 I don't have the gear to throw that now but the popper looks like it would be a great new model for the arsenal. I fish Costa Rica a lot from a kayak and would love to pick up some Jacks or Rossterfish 9or even giant snapper) on this! Keep the new kits coming!! I'm going to get my wife a couple for Her Birthday...That should keep her busy! I know she'll like the eyes! These are being shipped 7000 miles away tomorrow. More coming.